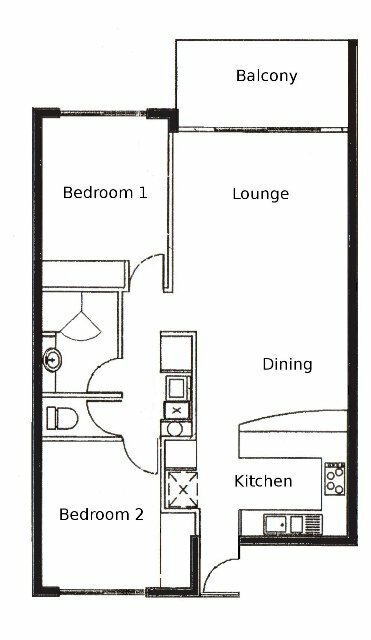 Our two bedroom apartments accommodate up to 5 people. They have a full sized kitchen, large dining and lounge areas. The toilet, bathroom and laundry are separate rooms. The laundry is equipped with a washing machine and clothes dryer. The bedrooms are well separated and both rooms may have one king bed or 2 single beds. A sofa bed is available for one extra person. All of the two bedroom apartments have views of the pool.